Dr. Cripton’s research interests are primarily focused on prevention, rather than treatment: an injury that never happens, as he points out, needs no repair or therapy. To this end, he works on spine, hip, and concussion biomechanics, all focused on either preventing injury or minimizing it as it happens. He also works a great deal with geriatric and pediatric models, looking at ways of preventing injury to very old and very young people. 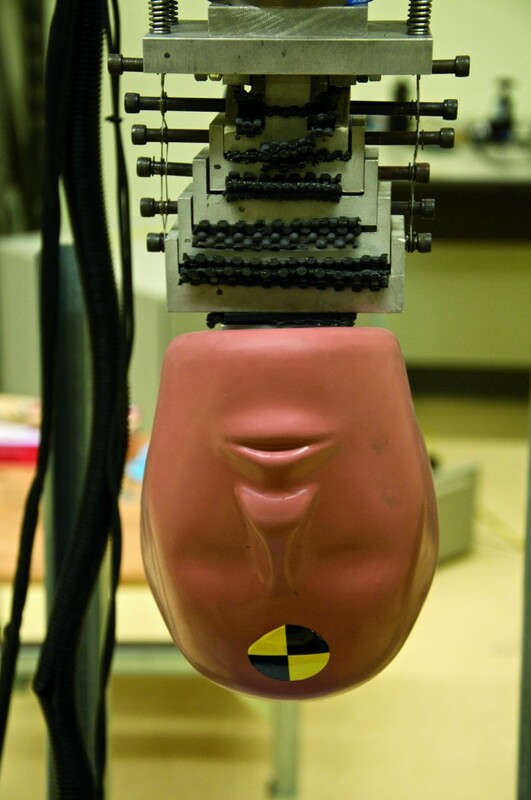 He and his team are developing improved mechanical and computational models of spines for crash test dummies and other injury testing, and they use pressure sensors to study swelling of the spinal cord after injury to better understand the response of the spinal cord to injury . He is also working with the US Department of Defense on setting safe transfer limits for medical evacuations. 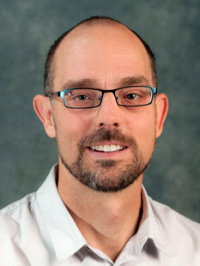 Dr. Cripton is Co-Director of the UBC Orthopaedic and Injury Biomechanics Group. He is a Professor and the Associate Head – External in the Department of Mechanical Engineering, an Associate Faculty Member in the Department of Orthopaedics at the University of British Columbia, and a Principal Investigator at ICORD. Dr. Cripton’s undergraduate degrees in mathematics and mechanical engineering at Dalhousie University and the Technical University of Nova Scotia were followed by an M.Sc. and a Ph.D. at Queen’s University, his Ph.D. was collaborative with the University of Bern in Switzerland where he conducted experiments for his doctoral research. Dr. Cripton also worked as a Post–Doctoral Fellow at Yale University and he spent three years working as a consulting engineer at Exponent Inc. in Philadelphia before moving to UBC. As the prevention of spinal cord injury is Dr. Cripton’s primary focus, he is very happy to be working in one of the few centres of SCI research with a focus on prevention. Working at the Blusson Spinal Cord Centre, just like being part of ICORD, gives him access to neuroscientists, clinicians, and basic scientists, all of whom are open to collaboration. The reason for the centre is the proximity it brings and similarly is one of the real strengths of ICORD as a group. Dr. Cripton works with Dr. Brian Kwon on safe vibration levels for medical evacuations and on studying swelling mechanics of the spinal cord after injury and on developing appropriate devices to simulate human-like SCI . Together with Dr. John Street, he is working on the development of a helmet to prevent SCI in impacts (the Pro-Neck-Tor™ helmet). He collaborates with Dr. Christian Puttlitz of Colorado State University on advanced material models for the spinal cord. Dr. Cripton’s work with head-first impact studies the spinal cord deformations resulting from such an impact. He studies cervical spine and spinal cord injury in models, which increases understanding of these injuries and allows greater prevention. His drive for prevention led him to his work on developing the Pro-Neck-Tor helmet as part of an international research collaboration. Dr. Cripton’s team designed and established a helmet-mounted device to prevent spine and cervical spine injuries. Read more about the Pro-Neck-Tor helmet in this article. Dr. Cripton also tests spinal implants, detailing the biomechanics of disc replacements. He also works on pre-clinical testing of new spine implants and develops spine implants for people with degenerative changes or deformations of the spine. His goal is to improve motion and reduce pain. His work with cerebral spinal fluid pressure measures the pressure of the fluid during injury and monitors the development of pressure after injury. This work allows surgeons to understand the difficulties in acute injury, to reduce the build-up of fluid, and to protect the spinal cord. NDI Young Investigator award for: Newell R (presenter), Siegmund G, Blouin JS, Street J, Cripton PA, Preparing for headfirst impact affects the muscle activity and posture of the neck,Conference for the Canadian Society of Biomechanics, June 6-9, 2012, Burnaby, Canada. There are currently no openings in Dr. Cripton’s lab. Please contact Dr. Cripton with inquiries. Dr. Peter Cripton gives a quick demonstration and explanation of his Pro-Neck-Tor helmet. Dr. Peter Cripton tests a bicycle helmet for Global News. Whyte, T et al.. 2019. A review of impact testing methods for headgear in sports: Considerations for improved prevention of head injury through research and standards.. J Biomech Eng. doi: 10.1115/1.4043140. Vonder Haar, C et al.. 2019. Repetitive closed-head impact model of engineered rotational acceleration (CHIMERA) injury in rats increases impulsivity, decreases dopaminergic innervation in the olfactory tubercle and generates white matter inflammation, tau phosphorylation and degeneration.. Exp. Neurol. doi: 10.1016/j.expneurol.2019.02.012. Kim, KT et al.. 2019. Differences in Morphometric Measures of the Uninjured Porcine Spinal Cord and Dural Sac Predict Histological and Behavioral Outcomes after Traumatic SCI.. J. Neurotrauma. doi: 10.1089/neu.2018.5930. Cheng, WH et al.. 2019. CHIMERA repetitive mild traumatic brain injury induces chronic behavioural and neuropathological phenotypes in wild-type and APP/PS1 mice.. Alzheimers Res Ther. doi: 10.1186/s13195-018-0461-0. Fleps, I et al.. 2018. Correction: On the internal reaction forces, energy absorption, and fracture in the hip during simulated sideways fall impact.. PLoS ONE. doi: 10.1371/journal.pone.0208286.